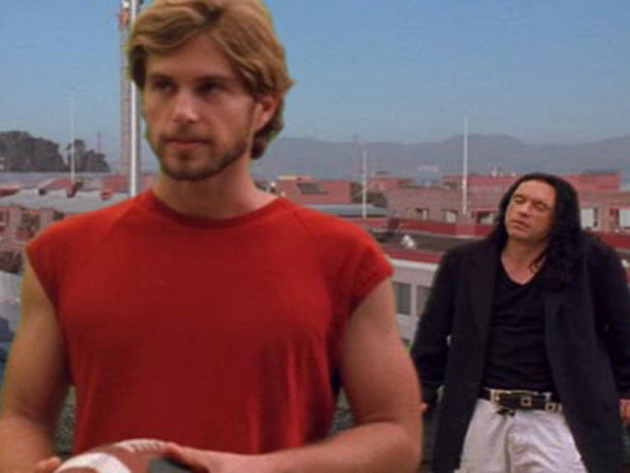 Tommy Wiseau may have eventually declared that his own film was supposed to be a comedy, but that comedy is not on the screen. What is on the screen is something that Wiseau is clearly putting his heart into. The Room is about a man, poised for success and a coveted happily-ever-after ending, who is undone, damaged, betrayed, and eventually and driven to suicide by his selfish and uncaring fiancée. One can easily feel that Wiseau – for however sloppy his filmmaking – was trying to say something about how he had been hurt in the past... and how badly. One can get the sense that there's a real-life breakup hidden somewhere in The Room's backstory. The dialogue and staging in The Room is off-kilter, bizarre, and tin-eared. But given the sincerity the film embodies, one could perhaps argue that the odd dialogue, broad characterizations, and over-the-top screaming are all abstract interpretations of the world, seen through the eyes of a brokenhearted man. The room of the title may allude to that closed-off mindspace of depression you find yourself in after a traumatic breakup. And from the vantage point of that room, the world is stiff and odd. The woman is meaner and crueler. Your friends dearer. There is a deep and real pain in The Room lurking underneath the stiffness. The friendships in The Room are difficult to define. 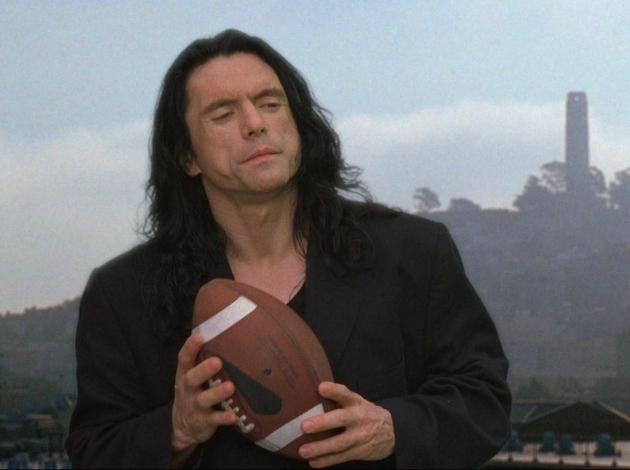 Wiseau's character has several buddies, and they play football together, but it's hard to see how these people came together, how they could have come to this strange place wherein they play football in tuxedos. And, in a way, isn't that what long-term friendship really resembles? Sometimes, it's not about the deep conversations, the “big” moments, or the declarations of “I love you, man.” Those oft-filmed clichés of friendship actually reduce and simplify the complexities of real friendship which, from an outsider's perspective may look a little off, but from the inside is glorious, strange, and ineffable. Seeing mismatched people doing weird things for fun spells out a deep bond. 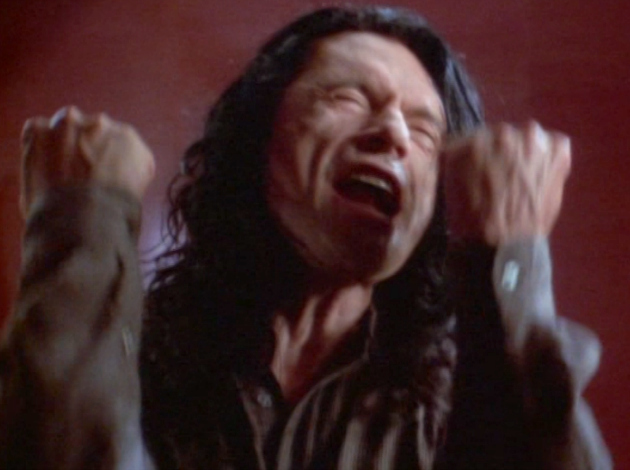 Wiseau shot The Room using two different kinds of cameras simultaneously: a 35mm camera and a high-definition digital camera. Reportedly, Wiseau didn't know the difference between the two formats. For some, this makes for a visually piecemeal aesthetic, but it could be argued that Wiseau, in merely tinkering and experimenting, was fulfilling the true spirit of cinema; i.e. try new things until you find what you want. Wiseau didn't know much about filmmaking going in, but that's not necessarily a detriment. It made for someone giving us his own spin on the cinematic form, using the tools at his disposal to tell the story he needed. Not only was the story sincere, but the filmmaking was as well. 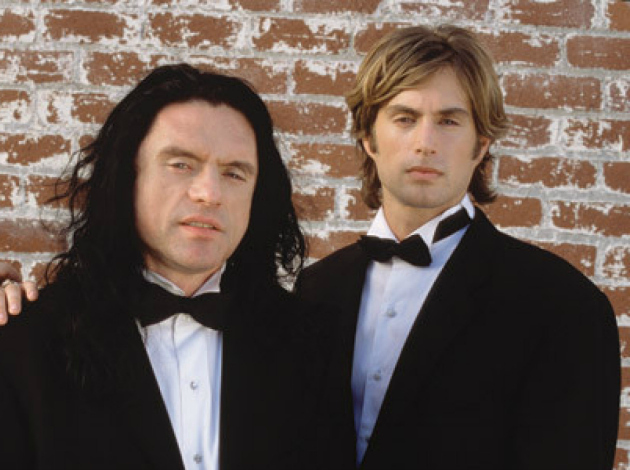 Wiseau's is – I think we can all agree – a unique creature. He speaks with an implacable accent, wears his hair in a wild bouffant that has never been in style, and comes at his audiences with an emotion that may be enthusiasm, but which could also be a blend of other emotions that most humans haven't discovered yet. His approach to acting is more expressionistic than natural. He's like Bela Lugosi in many respects, reading his lines as if he learned them phonetically (which Lugosi did do with his early gigs). Films are always more interesting when they come from fascinating people, as they give us glimpses into otherwise unreadable minds. 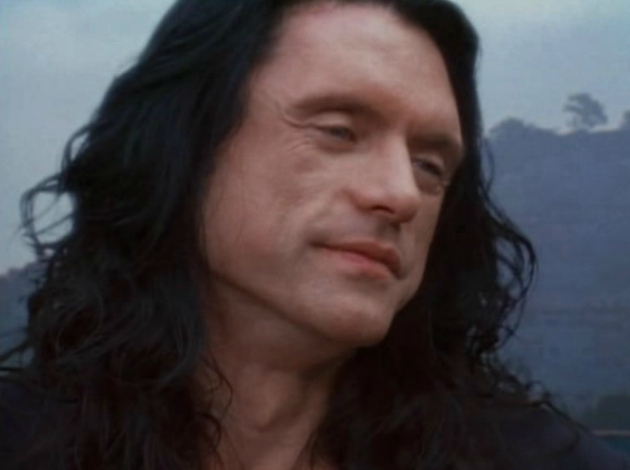 Wiseau is a piece of work to be sure, and The Room is a little peek into his life. Lisa, the wicked cheating fiancée in The Room, is perhaps not a very interesting character. She is dark and mean without any adequately explained reason. But is she really a "bad" character? If she's to be seen as an abstract representation of all wicked women, then no. Lisa – embittered, tired, horny, determined to hurt her husband-to-be – is a universal avatar for everyone's worst ex-girlfriend. And what actress Juliette Danielle brings is a relatable humanity to that character. She is all ex-girlfriends, and yet she still reads as a real person. That's not nothing. And even if you're not buying the “abstract character” theory, then you still have to admit that Danielle handles some of Wiseau's weird dialogue with expertise.